Catch Zeus if you can! The great Greek god has bolted from Mount Olympus and it's up to you to nab this dashing deity. Play cards strategically, adding numbers as you climb up the mythic mountain. Grab Zeus when the total reaches a multiple of 10. Better yet, summon the strength of Apollo, Poseidon, or all-powerful Hera to bring Zeus within your grasp. 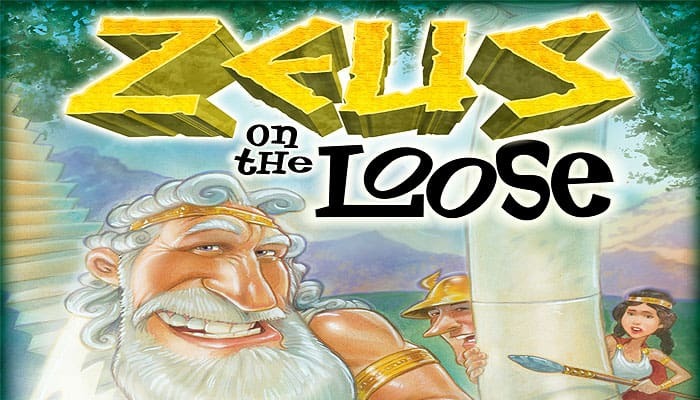 Reach the top of Mount Olympus with Zeus in hand and you're a mortal among the gods. To play is human. To win, divine! Did you know that, in addition to their supreme powers, the Greek gods were endowed with the special ability to change the course of card games? Well, at least that's the case in Zeus on the Loose! As you figure out how to harness the strengths of the various gods within, you'll sharpen strategic thinking along with valuable addition and subtraction skills. A quick warning about Hera: Though she may be the most powerful goddess in the game, don't get on her bad side or else she might wind up helping an opponent steal Zeus and win! 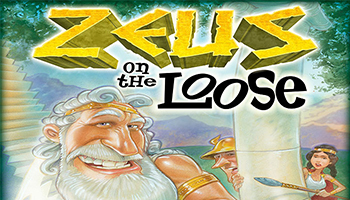 Be the first player to spell Z-E-U-S over several rounds by holding onto the Zeus figurine each time Mount Olympus reaches 100. Before playing, take a few moments to get familiar with the eight Greek gods and their respective powers. Shuffle the deck and deal four cards to each player. (Look at your cards but keep them secret from opponents). Stack the remainder of the deck face down in the center of the playing area to form a draw pile. 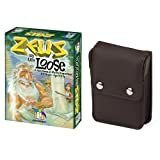 Place the Zeus figurine next to the draw pile.